Have you ever had a time when you needed to be protected? Tell that story. Who protected you? From what? How did they protect you? Have you ever had a time when you protected someone else? Tell that story. Who needed protection? From what? How did you protect them? When you think of being protected, what kind of situations come to mind? When do we need protection? How seriously do world governments take their responsibility to protect their people? How do they demonstrate this? What roles in society exist to provide various levels of protection to the public? Some people take the protection of their family very seriously. What are some examples you have seen? What does a responsible level of family protection look like? When a country wants to protect itself, men and women are trained to protect others. Consider the various levels of leadership required to ensure a safe nation—Soldiers, Generals, Commander in Chief—and all the various levels in-between. Compare that ‘public protection’ with the ‘private protection’ of you family. How are the roles, from actual combat to strategic leadership, filled by you? How have you trained for these responsibilities? Q. What is personal protection and how is it put into practice? Group Reading Instructions: As you read the passage, whenever you read something that we each need protection from, stop and mention that thing. Whenever you read something that says what we need to do to protect ourselves, stop and mention that thing. We want to create a list of things we need to protect ourselves from and strategies to apply to ensure our safety! When the world’s wisest man collected and created wise sayings, they all demonstrated one core reality – “Before it is anything else, Leadership is Character”. How is personal character related to protection of personal, private and public relationships? Read back over your list. What does each suggested action demonstrate character strength and wisdom? Add to the list. What other things do we need personal protection from? What strategies of “Suggested Action” can we apply to develop character and accomplish safety in each area? 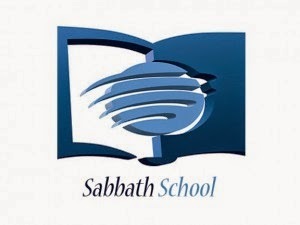 Many Blessings as you explore and Experience Sabbath School this week!